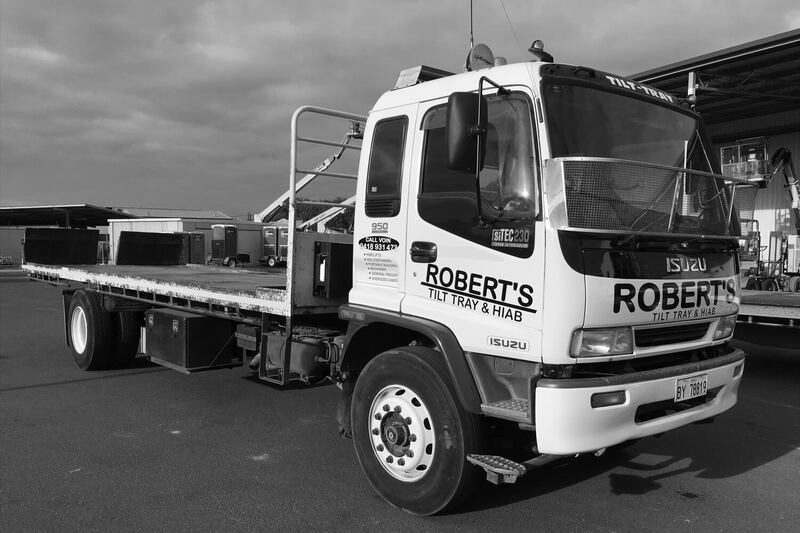 Robert’s Tilt Tray & Hiab Service in Bunbury WA is a family owned & operated professional transport company servicing the ENTIRE Southwest since 1993. 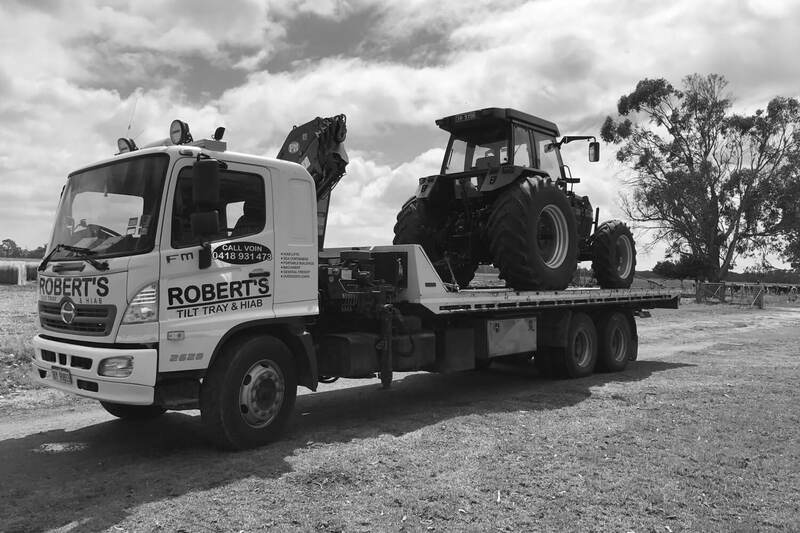 Whether you are a business or individual, Robert’s Tilt Tray & Hiab Service can deliver anywhere from Bunbury to the Northwest of WA, Over East, or down South, Just give us a call and we will organise everything. We specialise in the transport of Sea Containers, Portable Buildings, Access Equipment such as Boomlifts and Scissor lifts, Tractors, Farm Machinery, Oversize Loads, Cars, Car Bodies, General Freight, Plant & Machinery, Winching and Salvage. We also have a Western Australian Heavy Vehicle Accreditation to transport oversize loads anywhere, anytime. Robert’s Tilt Tray & Hiab Service have 3 Trucks, The Hino 12 Tonne tilt slide with Hiab, has a carrying capacity of 9.5 Tonne and a whinching capacity of 16 Tonne and the Hiab Can Lift 3 Tonne in close and 1 Tonne @ 8 metres. The second truck is a Fuso 13 Tonne Tilt Slide, and the third a Isuzu 8 Tonne Tilt Tray. Both Hino and Fuso can also tow a trailer. We are fully Insured with Safety a priority. 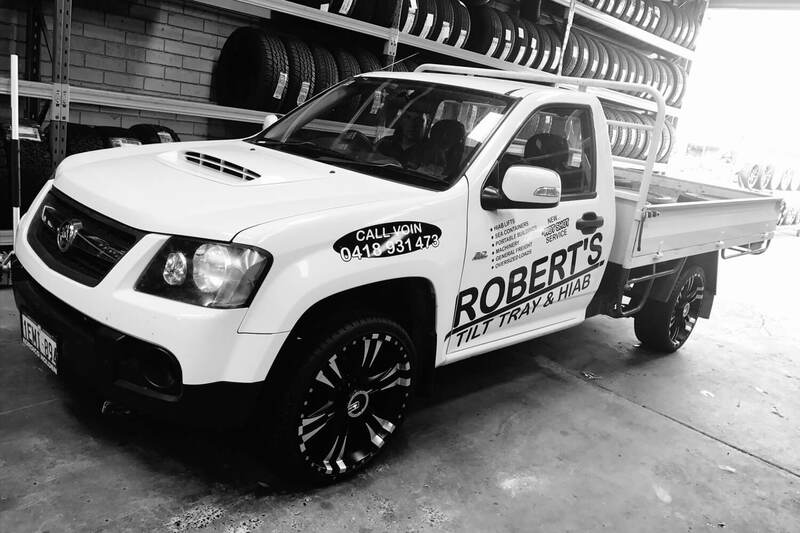 Call Voin at Robert’s Tilt Tray & Hiab Service in Bunbury WA for the best price and service for moving anything, anywhere, anytime. TILT TRAY. HIAB TRUCK. HOT SHOT COURIER SERVICE. SEA CONTAINER HIRE, STORAGE & SALES & MORE. Andel Plumbing . Coates Hire . Downer EDI Engineering . Fulton Hogan . GCS Hire . HTE Transport . Onsite Rental Group . Veoia Environmental … & more.